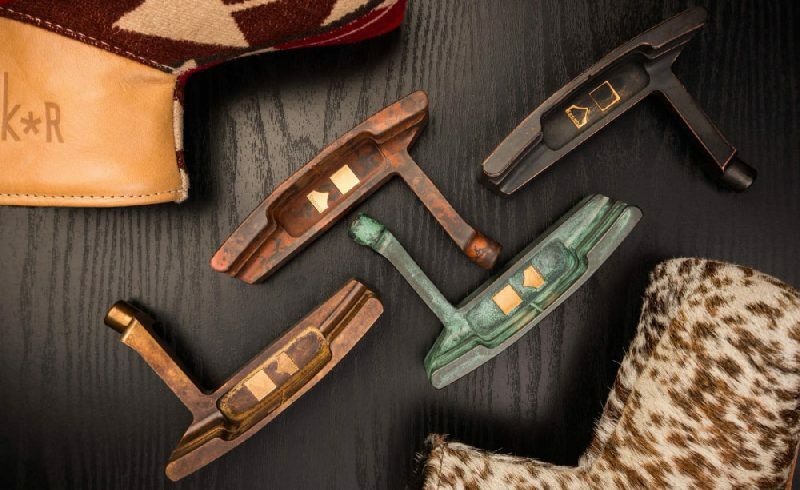 With claims like the “most precise putters in the world” and striking a deal on ABC’s hit show Shark Tank, this putter company that Phillip Lapuz has put together has to get you intrigued. Golf continues to surprise me in which trends and direction it takes. Included in that trend is the way in which people take such great pride in certain aspects of their equipment. The power of social media continues to grow the interest, trading, and collectability of putters. It was a lot of fun to understand why Phillip created Kronos, and more so why Robert Herjavec believed in them to the tune of $150 large. Lapuz grew up in Carlsbad, California, where he went to elementary school, middle school, and high school. He graduated from UCSD with a BA in Economics. During his third year at UCSD, he studied abroad thanks to a one-year exchange program in Kyoto at Doshisha University. After graduating from UCSD, Lapuz went on to work for a consulting firm in San Francisco. He spent a year there before he received a full scholarship to study experimental economics at Osaka University for a Masters degree through a Japanese government program. Lapuz was in graduate school in Osaka, Japan and was a member of the golf playing team there, when he got the idea to start his own company making putters. He reigned during the Golden Age, a time when life was simple and pure. Golf equipment has moved away from its traditions, towards gimmicks and false promises. Named after a Greek God, Kronos. KRONOS is the vision of Phillip Lapuz, Eric Williams, and their friends. Together they bring over a century of expertise to the golf industry. KRONOS is compelled by the desire to create the most precise and balanced putters possible without gimmicks, lies, or shortcuts. Each putter is Pure Balanced Center of Gravity Certified™. Before KRONOS, Lapuz and friends machined and prototyped putters, metal woods, and golf machines for Titleist, Taylormade, Goldwin and a handful of other major and minor golf brands which ultimately moved to cheaper, less precise methods of manufacturing. 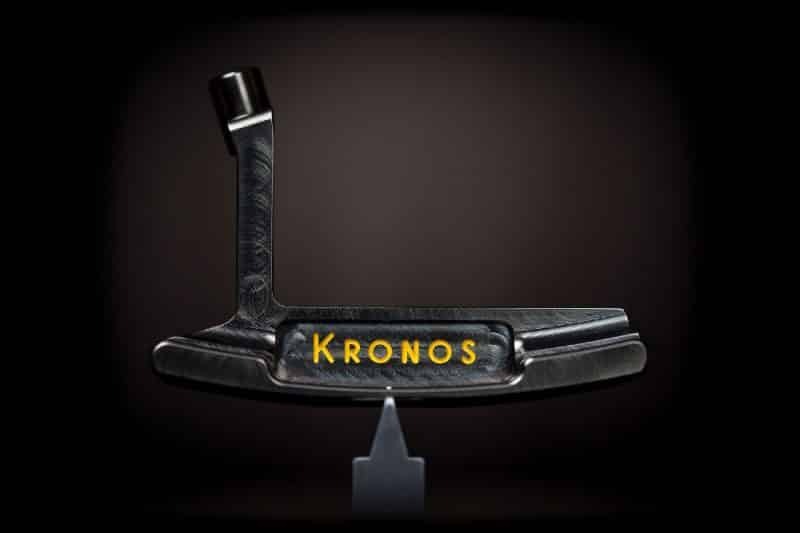 All KRONOS putters are machine milled under computer numeric control. Then they are hand polished and assembled by the world’s finest craftsmen using the finest techniques from only the highest quality materials: solid billets of metal, no casting, no welding, no stamping, no shortcuts. KRONOS minimizes imprecision by superior design and superior execution. Designed with cutting, polishing, coating, and assembly in mind. We design and execute from start to finish. Nothing gets lost in translation because of one simple fact: no translating. Each putter is precision milled from a solid billet of metal to maintain the purity of the metal and the integrity of the structure. KRONOS delicately polishes each piece by hand to preserve as much of the precision as possible, then minimally coats as-needed to match the material. Finally, the putter head is hand painted and cured before each club is hand assembled and individually balanced. Each head is designed specifically to balance on the sight line on the center of gravity. Kronos combines modern manufacturing techniques with traditional shapes, we use complementing finishing techniques to match our materials, and we partner with the world’s best craftsmen with the latest advances in manufacturing technology. Along the way, we use a variety of common and rare metals, all using solid billets to ensure there are no air pockets in the material. We acknowledge the properties of all our materials, and we acknowledge and embrace the differences. KRONOS has no shortage of unique head shapes to appeal to everyone. Some resemble popular head shapes that are used by the majority of players, while others will look foreign to some of golfs youth. The current production line totals seven putter options for players who demand the most precise tools for their tool bag. Phillip stays true to his brand in all of his designs by staying away from flashy, hot rod type designs. The entire brand looks purpose-built and designed. And I always love when that is done right here in the USA. Collaborating with John Ashworth and his Linksoul Company, this putter reflects our shared appreciation of golf’s heritage. The Anchor model putter is very similar to the bully’s eye shape putters, but it was not based on the bully’s eye putter shape at all. The overall profile of the putter is similar to Ben Hogan’s “His Own” model. The Kampe model is our first neo mallet style design. We took the profile of a high moment of inertia (MOI) and flipped it upside down. A classic design with a Kronos twist. Design and materials pay homage to 1900s. Unlike its predecessors and contemporaries, this putter showcases highly precise milling. A classic mallet revived. Each shaft is hand bent to ensure precise face-balance, preferred by many of those with straight-back, straight-through stroke path. The Mandala presents an innovation in classic putter design. The view from address maintains a classic D-shaped silhouette. The Release model stands tall as the preferred tool of craftsmen who believe in the importance of a proper release on impact — not just in the long ball, but in their short game, too. This long neck putter was designed with a full shaft offset and a slight toe hang. KRONOS built me a Release Model for review and consideration. A face balanced blade style putter isn’t something you see every day. And this isn’t due to demand; many manufacturers don’t offer it. I am a plumber’s neck, soft bumpers, 350 grams type of player. But how can a gear head not appreciate a long neck blade made out of one chunk of steel? You can’t. There are tons of players out there using spaceship mallets due to the need of a face balanced putter. A good handful of that group wishes they could play something more classic and blade-like. Kronos felt like that group made up a large enough market to give them exactly what they have been missing out on. Unless you go to a custom maker that will weld on a long neck- your options are somewhat limited. And while all my putter collectors will cringe, Phillip has no intention on welding or stamping. 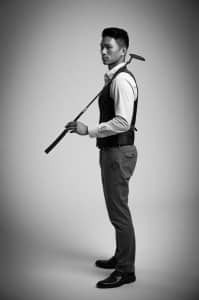 He believes his team has created a golf club with such precision that he will not risk deforming the metal. The sharp edges complement the overall design very well. 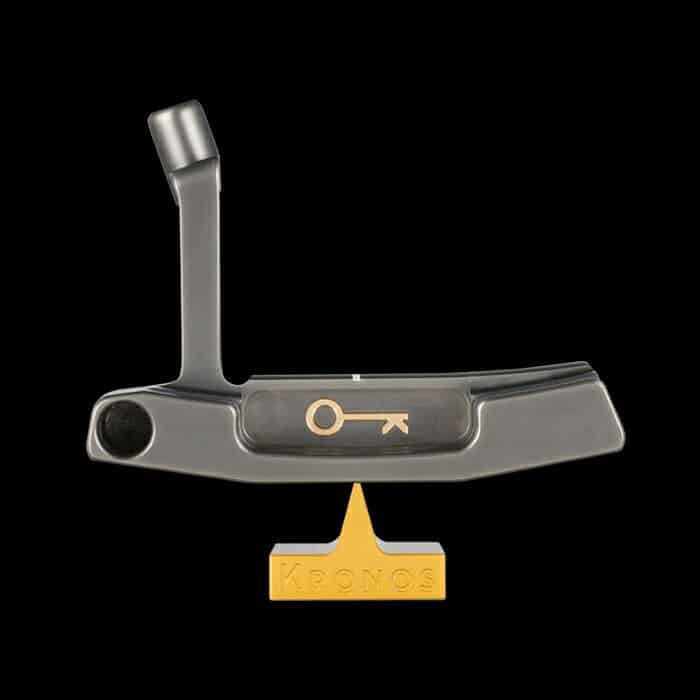 This model offers a thick-er top line which is undoubtedly on purpose for the overall sweet spot to be at the center line of the putter, but also adds a level of confidence standing over the putter. The thick top line also creates a soft but solid feel at impact. The weight that was removed in the toe of the putter to create the perfect sweet spot is noticeable. While weighing in as a heavyweight, the 370 grams feels soft at contact. I think the decision to make this heavier model out of carbon was a great move. Is it brand suicide that Phillip won’t stamp his putter heads? I don’t think so. It adds to his preservation of creating the purest tool that he can provide golfers to make putts. But the good news is, he still has invested in a halo etching service that his team will add to the Release model if you are itching to make it a 1:1. Add your name without marring, hammering, stamping, deforming your putter with HALO Etching Technology that maintains the balance of your most trusted precision instrument. Our custom engraving process is only available on the Refined Series putters at this time. Deep etching is also available on the bumpers for any raw series Release model. Watching Kronos on Shark Tank gave me a whole new depth to the brand. So often in the putter segment, a brand will pop up and begin sharing their work on social media. It’s hard to gauge the depth or foundation of their brand unless they let you in. In an emotional shark tank episode, Phillip lets you in. I won’t go into complete detail, but it’s a great story about a real-life entrepreneur whose passion and beliefs fuel the creation of a brand. When this category of putter customers buy into your brand, they buy into the entire package. Collectors and hobbyist alike enjoy the story. They enjoy feeling a part of something. They crave a different experience other than going to the local golf retailer and grabbing a putter off the shelves like it’s a pair of socks. The Release putter I received has a beautiful but subtle leather head cover and grip. The branding is subtle but rich. I think the more desirable putter companies in this niche space offers an “if you know, you know” type of mantra. A high-end boutique feel. 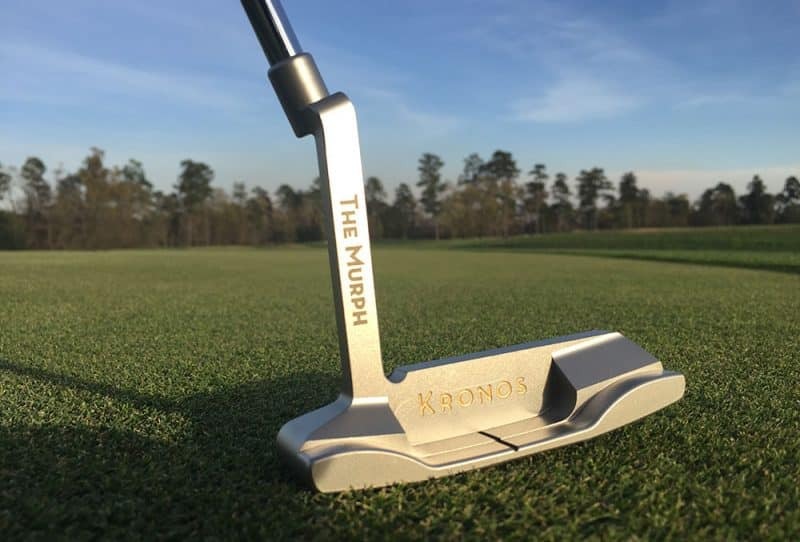 When I opened the Kronos box and looked over the putter, I envisioned walking into a small street side retailer that was well lit. It likely doesn’t have big signs on the doors. There is not 500 putters on the walls but instead only about 20. Music is playing, and it’s a real chill experience. And that’s what I think this brand is. I feel like golf is beginning to trend in a purest/minimalist type of vibe. And while you may disagree and say that it might only be 10% of golfers. Those 10% of golfers who set and create trends are the ones spending the majority of the money in golf. They likely have a room full of golf gear in their house with all different options to outfit their bag. They are the ones who make bold charges in what they want and seek out niche companies to provide for their needs. Kronos is going to fit right in with this wave and will likely enjoy the ride. While I never in a million years would pick out a 370g giraffe looking blade on my own, I am so glad Phillip sent one my way. He opened my eyes to the amount of work that has gone into the design to create a perfect center of balance at the site line. I love the Kronos story, and like many other putter brands, I love the minimalist pure design that goes into all of their designs. Complimenting classic but unique designs with rich leathers and subtle styling make this brand a home run over and over again. Already extremely successful in Japan, I look forward to watching Phillip and team expand into US markets. They have an unbelievable media team on social media, and I encourage you to follow along. You can order putters directly from their website and generally keep a good amount of inventory at all times. Give them a follow and see why they survived the Shark Tank!